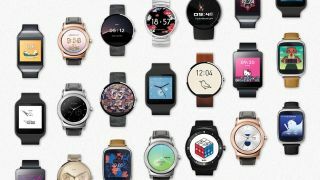 If the over 1,500 Android Wear watch faces that are already available weren't enough for you hopefully you'll be able to find something that's to your liking in the new Google Play collection. There certainly seems to be something for almost everyone, with 17 faces covering square and circular watches, analogue and digital, abstract designs, pictures and various brands, artists and characters, including Bang & Olufsen, Angry Birds, Hello Kitty and Kevin Tong among others. Most are free too, though you'll have to stump up 74p (around $1.17) for a Gundam or Andrealage face. You can check them out for yourself now on Google Play, so head on over and find one to download. Or download them all like some kind of watch face collecting fiend. Here's what we think of the Apple Watch faces.